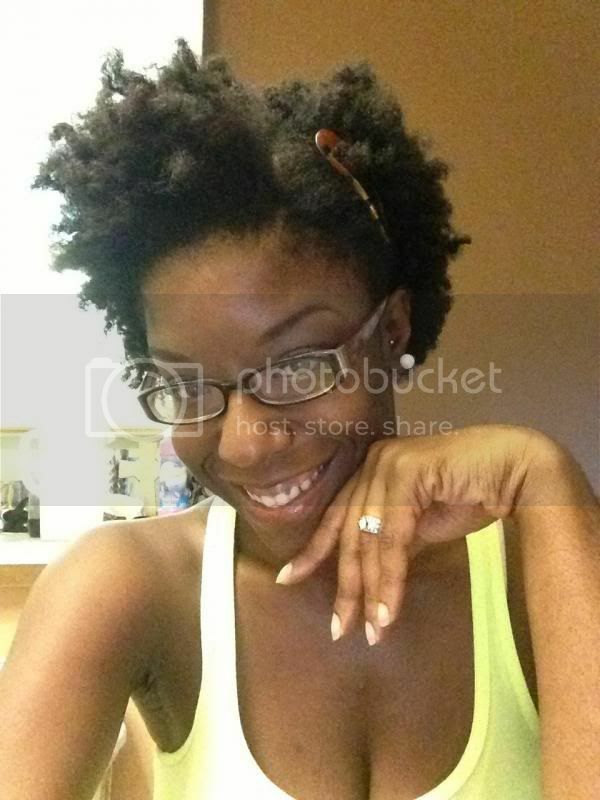 Points: 39 Topic: Uneven Hair ..Please help!!! The left side of my hair is longer than the other. I have never had this problem in the past, but I think that when i had a weave in my hair some months ago, part of my hair was left out in the back, and maybe combing my hair accidentally, it broke off some. The left part of my hair is like armpit length ,while the right is an entire inch or so shorter! i hate it and really dont want to cut it. LOL. I know it sounds crazy, but I am trying to grow my hair to waistlength and i believe it is possible and I am willing to cut it when the right side reaches armpit length or longer. What would you do? would you cut it? I usually wear my hair in a pony tail so its really hard to tell that is uneven. One side of my hair is longer also, but that's just the way it grows. I wear my hair in a natural state so it doesn't really matter. I do not plan on cutting it because usually it just returns to being longer. If you wear your hair up most of the time I would not worry about cutting it right now. 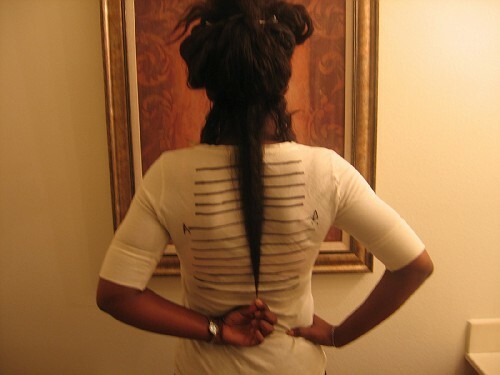 But if it is breakage and not just your regular growth pattern I would cut it eventually. Good luck with what you decide to do though. I would say just leave it be. Unless you want to even it up by trimming, I would leave it be. IA with the advice the ladies have given. If that's the way it grows, cutting it won't resolve it. Find ways to play off it. You may have to part your hair more onto the right side to balance out the look a little if you wear it down. Also, play with styles where you pin one side up or back. thanks ladies, i have worn a pony tail most of this summer because of the humidity so i wont bother for now. I think I'm in the minority here, but I would just cut and get it over with. What's the point of being APL on half of your head? 1" will grow back on average in just 2 months. I have that same problem but that's just the way my hair grows. But for me it's weird I don't notice the unevenness when my hair is down, I can only tell when it's in a high ponytail. My left side always hangs about an inch shorter than my right side. It could also have something to do with the V shape my hair grows in. of course it is entirely possible for your hair to grow to your waist. don't think for one minute that it isn't! i'm trying to grow mine to my waist too, and i will, gosh darnit. check back with me in another two years, and i should be there, seriously. but about your uneven length- all you can do is just wait for that side to catch up. i wouldn't cut it personally- i would just wait til your hair got to your next goal length and then trim it up to that point until it no longer was uneven. that way you get to keep your length and still achieve your goals without your hair and the way it looks aggravating you for too long.